Over the past couple of years between Football, Basketball, and Golf seasons, I have eaten my weight 3 times over in wings! A little sweet, a little spice and the traditional wings are transformed into a treat that’s not only crispy, but magically transformed. Preheat the oven broiler and spray the broiler pan rack with non-stick spray. Place the chicken wings in a bowl and combine with the canola oil and salt and toss to coat. Arrange the coated wings on the broiler pan rack and broil 12 inches from the heating element for 45 minutes, turning until golden brown and crispy. While the chicken is cooking, combine the rice vinegar, soy sauce, brown sugar, Asian chile sauce, Sriracha, ginger, and 1 scallion in a blender until smooth. Pour the mixture to a saucepan and bring to a boil for 5 minutes until the sauce thickens. Add the chicken wings to the sauce and toss to glaze for 5 minutes. 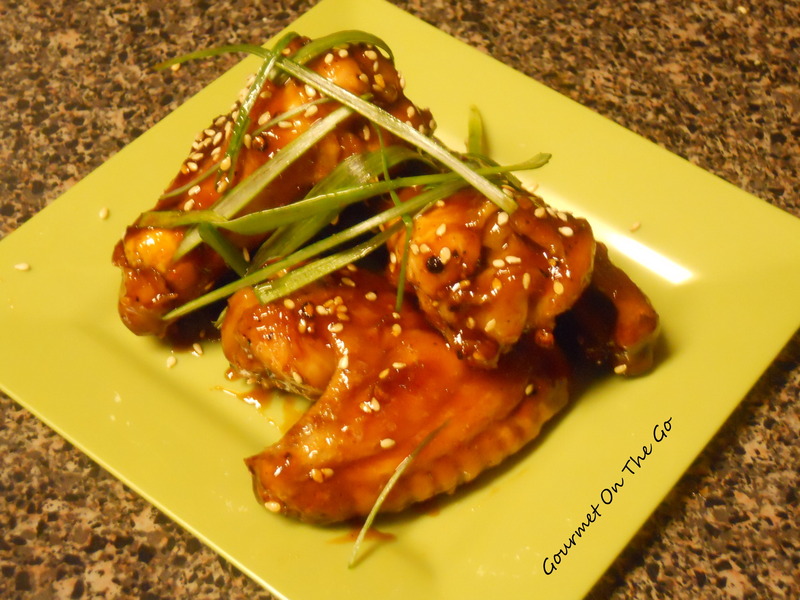 Place finished wings on a platter and garnish with scallions and sesame seeds. 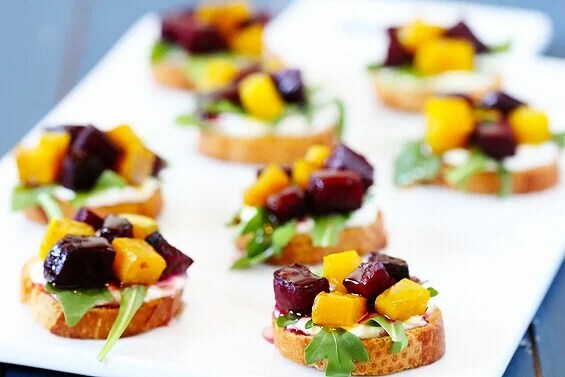 Oh my look what Gimme Some Oven created on their blog! Yum! The perfect app for my Christmas dinner!